Here at Kunitachi Kids we have a fantastic and happy learning environment that can be seen on the students smiling faces every day. 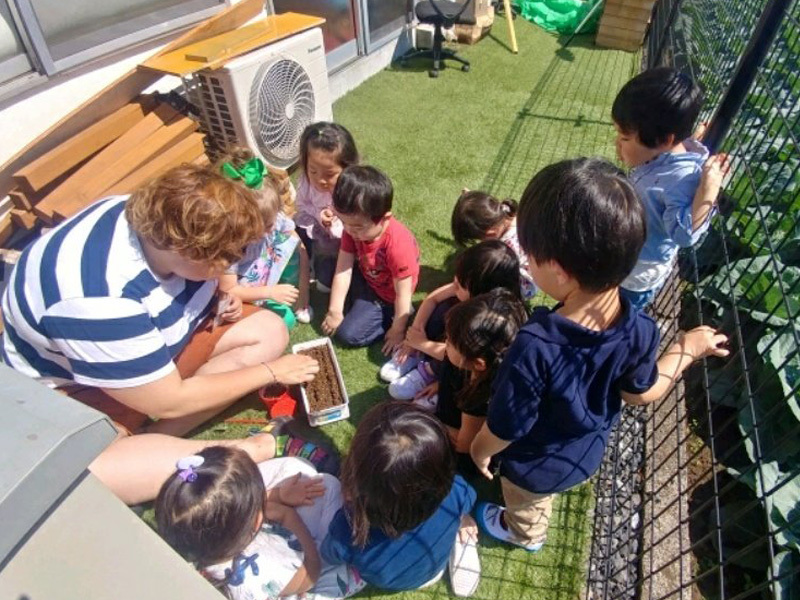 We are also different from many schools in that we are an international school, this means that we often have to contend with certain language and cultural differences that other schools don’t have to deal with. We have an excellent safety record and all of our students share a good relationship with one another. We are very proud of our teaching team and how each of them deals with their students when it comes to classroom discipline and moral guidance. Bearing in mind of course how each age group and mixture of children behaves differently, requiring a different balance of instruction and encouragement from class to class. We think most parents would agree that we are not responsible for teaching a student how he/she should behave as a whole. We are only here to guide a student while he/she is at school and encourage them to act in a fair and pleasant manner to maintain an enjoyable learning environment and to assist parents in the positive personal development of their children to the best of our abilities. Inappropriate behavior; spitting, bad language, throwing toys, misuse of equipment, snatching, not helping to clean toys, stealing, etc. This kind of conduct is unwanted, and fortunately rarely seen, but of course some of these things may happen in the school environment, especially at play time when the children can get wild with their imaginations. However a teacher is always around to discourage this type of behavior if they witness it. Different teachers have different styles but our school policy is to discourage retaliation. If a child is struck by another child they should not hit back, we encourage students to first say “Don’t hit me!” and if it continues we want the child to inform a teacher in this case, and appropriate action will be taken. As stated earlier different classes have individual ways of dealing with their disputes. K3 rely much more on teacher intervention than K4 and K5, who are encouraged to reach a solution to their problems by them. However if problems still persist we encourage students to inform a teacher. One thing that is apparent among many of the boys here at Kunitachi Kids is that they, like most boys of their age, are very interested in super heroes. And some of the most popular of theses, for example Power Rangers, Geki Rangers, Maji Rangers etc, use martial art style fighting. Of course sometimes children like to emulate these characters at playtime, and use these kinds of physical movements on their friends. Usually this kind of play is harmless but sometimes there can be injuries. Please be careful about what kind of television programs your child is watching. We also encourage all of our students to play together. If there is some kind of dispute we must learn to try and settle our differences, to reach some kind of agreement and understanding. We cannot ask teachers to divide the classroom into groups, or to stop certain children from playing together permanently. Of course we cannot protect children from the world, what they see and hear entirely, or how they may be influenced by them, but we can try to let them know that certain things they see and hear are wrong, and certain language is wrong and we should not use those words. 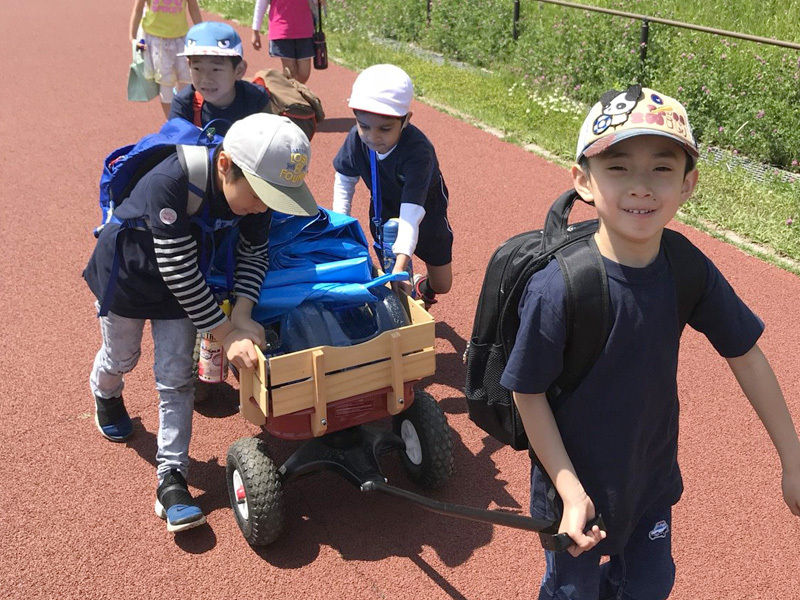 We ask parents to understand that we have a great friendly and happy environment here at Kunitachi Kids International School and we do not wish to alarm any parents into thinking otherwise. Thank you for your co-operation and understanding. Copyright © くにたちキッズインターナショナルスクール【KKIS】｜東京都立川市. All rights reserved.